Ameringen, M. V., Mancini, C., Pipe, B., & Bennett, M. (2004, October). CNS Spectrums, 9(10), 753-762. Arehart-Treichel, J. (2001, July 6). 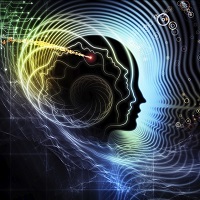 Evidence is in: Psychotherapy Changes the Brain. Psychiatric News, 36(13), p. 33. Retrieved May 8, 2013. Belzer, K. D., McKee, M. B., & Liebowitz, M. R. (2005, November). Social Anxiety Disorder: Current Perspectives on Diagnosis and Treatment. Primary Psychiatry, 12(11), 35-48. Blair, K., Shaywitz, J., Smith, B. W., Rhodes, R., Geraci, M., Jones, M., & McCaffrey, D. (2008, September). Response to Emotional Expressions in Generalized Social Phobia and Generalized Anxiety Disorder: Evidence for Separate Disorders. American Journal of Psychiatry, 165(9), 1193-1202. Chambless, D. L., Tran, G. Q., & Glass, C. R. (1997). Predictors Of Response To Cognitive-Behavioral Group Therapy For Social Phobia. Journal of Anxiety Disorders, 11(3), 221-240. Clare, T. S., Menzies, R., Onslow, M., Packman, A., Thompson, R., & Block, S. (2009). Unhelpful Thoughts And Beliefs Linked To Social Anxiety In Stuttering: Development Of A Measure. International Journal of Language & Communication Disorders, 44(3), 338-351. Culpepper, L. (2006). Social Anxiety Disorder in the Primary Care Setting. The Journal of Clinical Psychiatry, 67(12), 31-37. Davidson, J. R. (2006). Pharmacotherapy of Social Anxiety Disorder: What Does the Evidence Tell Us? The Journal of Clinical Psychiatry, 67(12), 20-26. Dingfelder, S. F. (2009, March). From the Research Lab to the Operating Room [Editorial]. Monitor On Psychology, 40(3), 40-43. Doehrmann, O., Ghosh, S. S., Polli, F. E., Reynolds, G. O., Horn, F., Keshavan, A., & Pollack, M. (2013, January). Predicting Treatment Response in Social Anxiety Disorder From Functional Magnetic Resonance Imaging. Jama Psychiatry, 70(1), 87-97. Eng, W. (2005). Domains Of Life Satisfaction In Social Anxiety Disorder: Relation To Symptoms And Response To Cognitive-behavioral Therapy. Journal of Anxiety Disorders, 19(2), 143-156. Fawcett, J. (2000, November). Psychiatrists Should Be Proficient in Cognitive Therapy [Editorial]. Psychiatric Annals, 30(11), 673. Feldman, L. B., & Rivas-Vazquez, R. A. (2003). Assessment And Treatment Of Social Anxiety Disorder.. Professional Psychology: Research and Practice, 34(4), 396-405. Foa, E. B. (2006). Social Anxiety Disorder Treatments: Psychosocial Therapies. The Journal of Clinical Psychiatry, 67(12), 27-30. Fyer, A. J., Mannuzza, S., Chapman, T. F., Lipsitz, J., Martin, L. Y., & Klein, D. F. (1996). Panic Disorder And Social Phobia: Effects Of Comorbidity On Familial Transmission. Anxiety, 2(4), 173-178. Goldberg, J. F., & Thase, M. E. (2013, February). Monoamine Oxidase Inhibitors Revisited: What You Should Know. The Journal of Clinical Psychiatry, 74(2), 189-192. Hambrick, J. P., Weeks, J. W., Harb, G. C., & Heimberg, R. G. (2003, May). CNS Spectrums, 8(5), 373-381. Heimberg RG, Dodge CS, Becker RE. Social Phobia. In: Michelson L, Ascher M, eds. 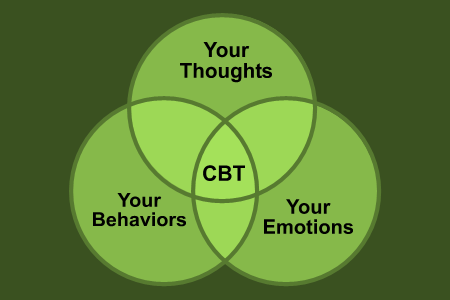 Anxiety and Stress Disorders: Cognitive Behavioral Assessment and Treatment. New York, NY: Plenum Press; 1987. Heimberg RG, Salzman DG, Holt CS, et al. Cognitive behavioral therapy group treatment for social phobia: effectiveness at five-year follow-up. Cogn Ther Res. 1993; 17:325-339. Herbert, J. D., Gaudiano, B. A., Rheingold, A. A., Moitra, E., Myers, V. H., Dalrymple, K. L., et al. (2009). Cognitive Behavior Therapy For Generalized Social Anxiety Disorder In Adolescents: A Randomized Controlled Trial. Journal of Anxiety Disorders, 23(2), 167-177. Hollifield, M., Mackey, A., & Davidson, J. (2006, May). Integrating Therapies for Anxiety Disorders. Psychiatric Annals, 36(5), 329-338. Kashdan, T., Volkmann, J., Breen, W., & Han, S. (2007). Social Anxiety And Romantic Relationships: The Costs And Benefits Of Negative Emotion Expression Are Context-dependentâ˜†. Journal of Anxiety Disorders, 21(4), 475-492. Katzelnick, D. J., & Greist, J. H. (2001). Social Anxiety Disorder: An Unrecognized Problem in Primary Care. The Journal of Clinical Psychiatry, 62(1), 11-16. Keller, M. B. (2006). 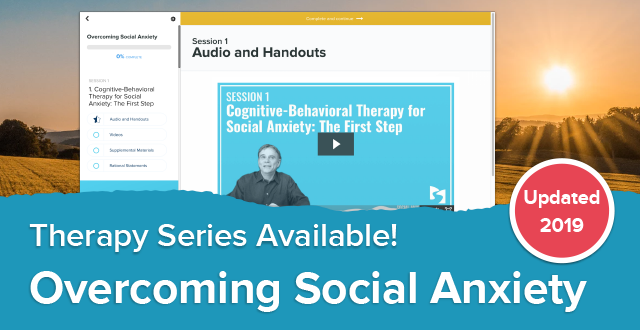 Social Anxiety Disorder Clinical Course and Outcome: Review of Harvard/Brown Anxiety Research Project (HARP) Findings. The Journal of Clinical Psychiatry, 67(12), 14-19. Kessler RC, Berglund PA, Demler O, Jin R, Walters EE. Lifetime prevalence and age-of-onset distributions of DSM-IV disorders in the National Comorbidity Survey Replication (NCS-R). Archives of General Psychiatry . 2005 Jun;62(6):593-602. Kessler RC, Chiu WT, Demler O, Walters EE. Prevalence, severity, and comorbidity of twelve-month DSM-IV disorders in the National Comorbidity Survey Replication (NCS-R). Archives of General Psychiatry , 2005 Jun;62(6):617-27. Kleinknecht, R. A., Dinnel, D. L., Kleinknecht, E. E., Hiruma, N., & Harada, N. (1997). Cultural Factors In Social Anxiety: A Comparison Of Social Phobia Symptoms And Taijin Kyofusho. Journal of Anxiety Disorders, 11(2), 157-177. Leichsenring, F., Salzer, S., Beutel, M. E., Herpertz, S., Hiller, W., Hoyer, J., & Huesing, J. (2013, July). Psychodynamic Therapy and Cognitive-Behavioral Therapy in Social Anxiety Disorder: A Multicenter Randomized Controlled Trial. American Journal of Psychiatry, 170(7), 759-767. Matthew, S. J., & Ho, S. (2006). Etiology and Neurobiology of Social Anxiety Disorder. The Journal of Clinical Psychiatry, 67(12), 9-13. Murray, B. (2000, March). From Brain Scan to Lesson Plan [Editorial]. Monitor On Psychology, 31(3), 22-28. Paxil Study Under Fire. (2011, July 12). International Business Times. Retrieved May 8, 2013. Schmidt, N. B., Richey, J. A., Buckner, J. D., & Timpano, K. R. (2009). Attention Training For Generalized Social Anxiety Disorder.. Journal of Abnormal Psychology, 118(1), 5-14. Schneier, F. R. (2006). Social Anxiety Disorder. New England Journal of Medicine, 355(10), 1029-1036. Schneier, F. R. (1995, September). Clinical Assessment Strategies for Social Phobia. Psychiatric Annals, 25(9), 550-553. Shulman, K.I., Walker, S.E. (October 2012). Irreversible Monoamine Oxidase Inhibitors Revisited. Psychiatric Times. Stein, M. B. (2006). Clinical Assessment Strategies for Social Phobia. The Journal of Clinical Psychiatry, 67(12), 3-8. Stoddard, J. A., Rosellini, A. J., & Hofmann, S. G. (2008). Single Case Evaluation Of An Intensive Cognitive Behavioral Treatment For Generalized Social Anxiety Disorder. International Journal of Cognitive Therapy, 1(2), 114-124. Wilkie, D. (2009, March). Coming Soon to a Scanner Near You [Editorial]. Monitor On Psychology, 40(3), 45-47.